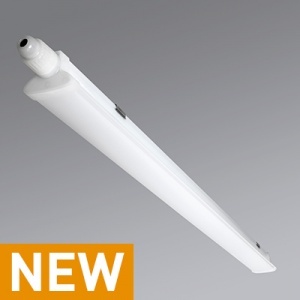 MGL has developed two LED moisture-proof luminaire product families based on the technological options of LED technology combined with state-of-the-art plastic injection moulding technology. These products are amazingly efficient, feature a slim design and offer especially simple, safe and fast installation. The entire package of reliable product quality and installation flexibility creates appealing project solutions, not just for day-to-day business but also for a wide range of new installations. ENEC approval confirms the special feature of these two product groups, namely that they meet the requirements for the IP66 and IP67 protection grade, and they do this with the option of having integrated a 3-pole through-wiring. 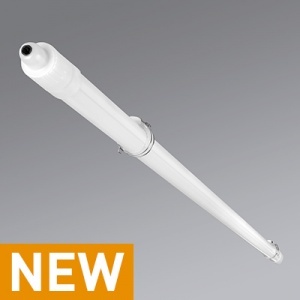 the installation lengths of the MGL moisture-proof luminaires correspond to conventional, market-standard t8 or t5 luminaires, making renovation projects a breeze.